David McDowall’s Walker’s Guide to Hampstead Heath gives the reader 10 enormously detailed walking tours for exploring the Heath, that much-loved slice of undeveloped, beautiful countryside at the heart of North London, and its famed surrounding areas. 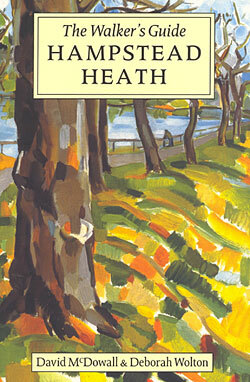 Far from merely outlining routes and providing directions, this guide constitutes one of the best-researched, most detailed works on the Heath available. Each short stage of each walk is accompanied by explanatory text, giving an extraordinary amount of information on the Heath’s deep, rich history of human activity, its ecology, flora and fauna, and the cast of characters who have lived in and around the Heath and been inspired by it. Contains many hand-drawn black and white illustrations, diagrams, landscapes & maps to supplement the text.